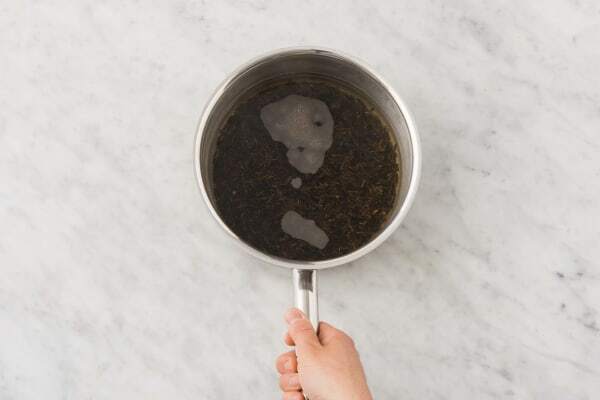 Maple syrup is the ingredient that comes to mind when one talks about Canadian cuisine. 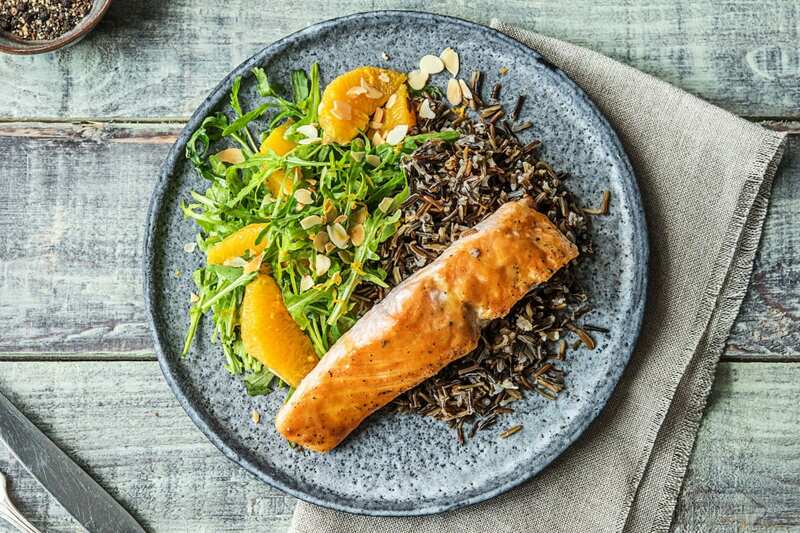 This Canada Day, celebrate with our tasty combination of maple-glazed salmon, wild rice and a yummy arugula salad. Preheat the oven to 425°F (to roast the salmon). Start prepping when the oven comes up to temperature! Zest 1/4 tsp orange zest (double for 4 people). Cut a piece off the top and bottom ends of the orange(s). 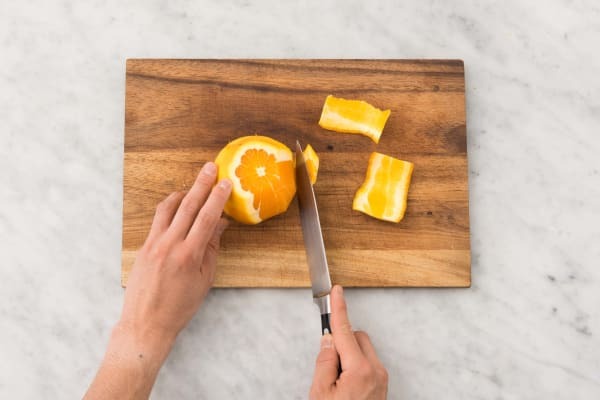 Place the flat end of the orange on a cutting board, cut the peel away from the flesh from top to bottom, turning the orange as you go. In a small bowl, mix the maple syrup, soy sauce and half the mustard. Reserve half the maple glaze in another small bowl. 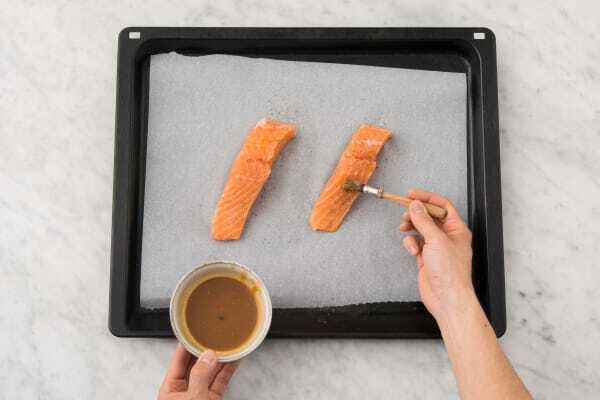 Arrange the fish, skin-side down, on a parchment-lined baking sheet. Season with salt and pepper. Brush one bowl maple glaze over the fish. Bake in the centre of the oven until the fish is cooked through, 11-13 min. 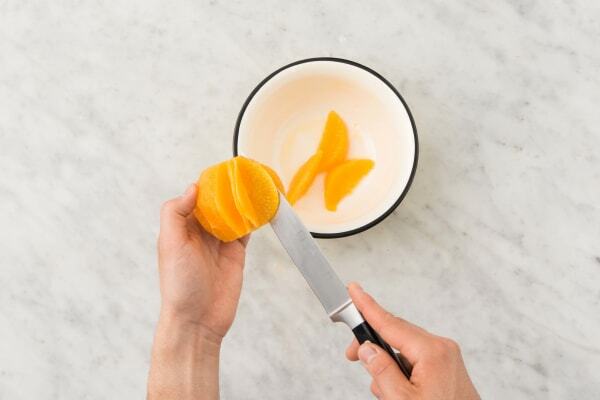 Meanwhile, in the bowl with the orange juice, whisk in the vinegar, remaining mustard and a drizzle of oil. Season with salt and pepper. 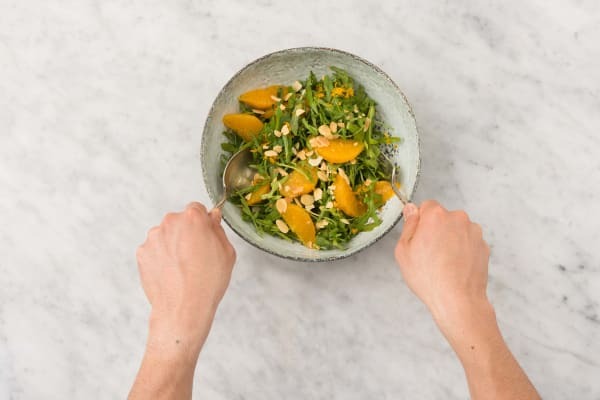 Toss in the arugula, orange segments, almonds and orange zest. Divide the maple-glazed salmon between plates. Drizzle with remaining bowl maple glaze. 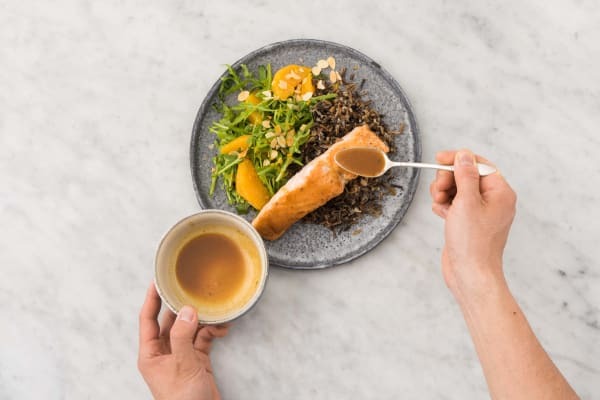 Serve the orange-arugula salad and wild rice to the side.